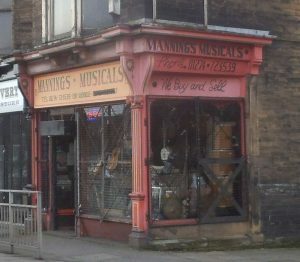 Manning’s Musicals has been trading in used musical instruments for over 30 years. 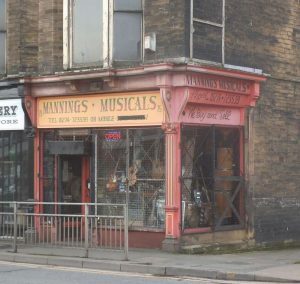 75 Westgate, Bradford. BD1 2RD West Yorkshire. UK. Telephone 01274 723539. Mobile 07976 578570. Opening hours = 10am – 5.30pm. unless they are in the “FOR SALE” section! If you want a valuation of an item, send at least 2 photos (front and back), and all relevant information, IE, Make, model, serial number, size and condition, and where you are! This service is provided at a charge of £5. No charge if the item is estimated to be worth less than £50.